Discovering a burst pipe is never a good thing. 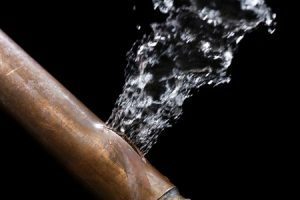 Whether you were tipped off by reduced water pressure or the sound of water gushing behind walls or under the flooring, a pipe burst can cause a great deal of damage in a matter of moments. Responding quickly ensures that you can minimize damage from the leak. If you discover a pipe that has burst in your home or business, call us right away at (720) 363-2907 for rapid burst pipe repair in Denver, CO and Westminster, CO! Many plumbers in the area claim to fix pipes that have burst, but you’ll get the run-around in actually getting someone out to take care of the job. Time is of the essence when there’s an active leak involved, so don’t wait another moment to call us. We will promptly respond and get that leak repaired in no time! Before you experience the unfortunate surprise of a burst pipe, there are a few key steps that you can take to prevent pipes from bursting. We live in an area that is especially prone to freezing pipes during our many months of cold weather, and preparation can go a long way in avoiding major damage. Check your pipes – Keep an eye on insulation around pipes and be sure to have someone check in on your property if you’ll be away during freezing months. You don’t want to return home after a week away to find that the leak has been left to wreck havoc. Fix leaks – Unaddressed leaks can contribute to pipes bursting down the road, so be sure to call us at (720) 363-2907 as soon as leaks are identified to reduce damage and prevent more costly repairs. It may be a simple plumbing repair that saves you a lot of grief in the long-run. Insulate pipes – Use lagging, a foam material that is designed to wrap around pipes, to insulate pipes that are outdoors and exposed to the elements. Lagging (or pipe insulation) can be purchased in various sizes and shapes to fit your piping and is easily installed. Know the location of the main shut off valve/stop valve – Also known as the main stopcock, the main shut off valve will turn off water supply so that you can better contain the leak. In addition to knowing the location of this valve, also ensure that you’re able to turn it off in case of emergency. When you’re flustered, you may forget what to do or find that you can’t think straight to operate it. Practicing in advance will reduce the time the leak can run its course. Open the doors – Keep internal doors (such as cabinets) cracked so that heated air can reach and wrap around metal pipes. We can help you prevent and treat burst pipes, so contact us now at (720) 363-2907 for prompt service, especially if you’re currently experiencing a leak. We’re available to service your Denver, CO or Westminster, CO home or business for burst pipe repair! Updated on July 27, 2016 at 2:22 pm by Best Plumbing of Denver.